Oppo F7 smartphone was launched in India on March 26 last month but without an availability date. 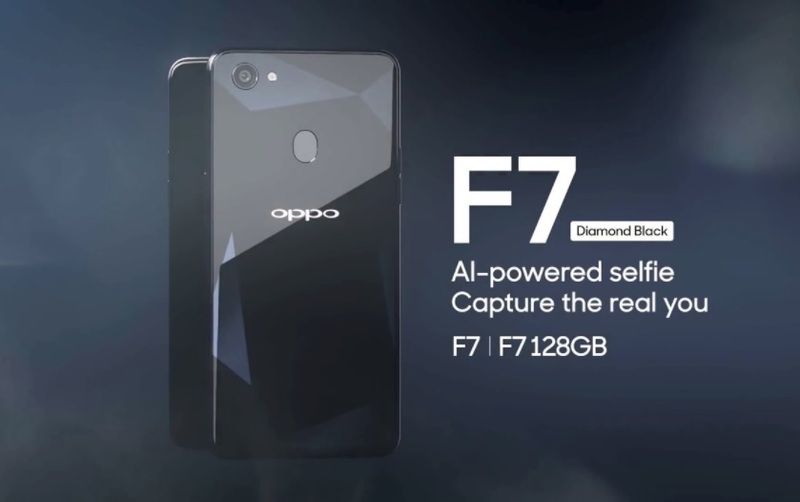 Now on Monay Oppo fiannly announced that the Oppo F7 Diamond Black 128GB Variant with 6GB RAM will Go on Sale in India starting April 21. The Oppo F7 Diamond Black variant will be available for purchase priced at Rs. 26,990 via Flipkart, Amazon.in, Paytm, and all Oppo offline stores. There were two variants launched the regular Oppo F7 that comes with 4GB of ram coupled with 64GB internal storage and the second which comes with 6GB RAM coupled with 128GB of internal storage. The regular Oppo F7 with 4GB RAM comes with a price tag of Rs. 21,990. Both the variants comes running ColorOS on top of Android 8.1 Oreo out of the box and sports a 6.23-inch full-HD+ (1080×2280 pixels) Full Screen 2.0 display with a 19:9 aspect ratio. In terms of camera specifications, the Oppo F7 ports a single 16-megapixel rear camera with an f/1.8 aperture and certain AI recognition features. On the front it has a 25-megapixel selfie camera with f/2.0 aperture and real-time HDR. There is a 3400mAh battery to power up the device.